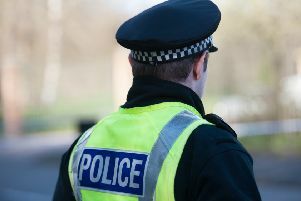 His family have been critical of Police Scotland, the Crown Office and the Police Investigations and Review Commissioner (Pirc) over what they describe as a lack of answers. They met with Lord Advocate James Wolffe QC on Wednesday to find out the ruling on any potential charges over Mr Bayoh’s death. Emerging from the Crown Office in Edinburgh with members of the Bayoh family today, Mr Anwar called for a public inquiry into the incident. “Today the family is devastated and feel nothing but a total betrayal by the Lord Advocate’s decision not to prosecute any of the nine officers or Police Scotland,” he said. “The family will continue to fight for the truth and seek a review of the decision albeit they believe that such a process is simply a box ticking exercise, they have demanded that all evidence must now be disclosed to the family by Crown Office and the Lord Advocate must not stand in the way of justice and the pursuit for truth if he will not act. “They will robustly pursue a civil action and meet with the Justice Minister this afternoon.